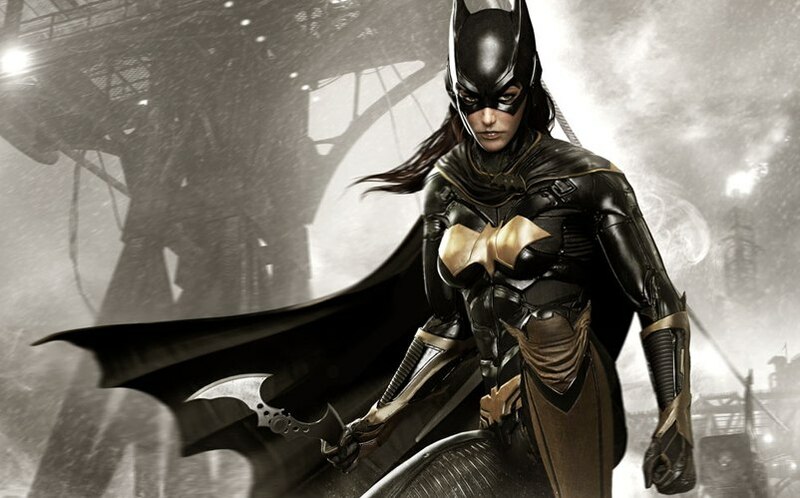 'Batman: Arkham Knight' Season Pass to Have Batgirl DLC | Nerd Much? There’s been a lot of controversy this week surrounding Batman: Arkham Knight’s DLC Season Pass, specifically because of its price ($40). That means if you want to play all of what Batman: Arkham Knight has to offer, you have to cough up a total of $100. Wow. He went on to note that the most notable portion of the Season Pass DLC would include a playable Batgirl, as Rocksteady and Warner Bros. would bring an all new prequel story expansion revolving around Batgirl and set in an entirely new location. This would make Batgirl playable for the first time in the franchise’s history. Yorick also detailed a few more bits of the DLC, some of which we already knew (like new story missions featuring “legendary” super-villains invading Gotham City and new character skins). The DLC will also have numerous Batmobiles to drive around on custom-built race tracks, each themed from the Batmobile’s specific era. Rocksteady noted that every Batmobile will be drivable across every race track. Could a Standalone Batgirl Game Be Next? WB Games also noted that as they fully ramp up development on the Season Pass content, they’ll be sharing even more details on each monthly drop. After learning new details, is the Batman: Arkham Knight $40 Season Pass worth it? Maybe. I’m not going to choose either way, because it all comes down to whether or not I have the extra money to spend on the content when the time comes. The great thing about the DLC is that it’s completely optional; no one is forcing you to buy the Batman: Arkham Knight DLC. I love all things Batman, and to me, even a little more Batman content is probably worth the $40. I understand the backlash, though, especially since Warner Bros. is one of the worst offenders when it comes to announcing DLC before a game actually hits the shelf. I think the main question among the gaming community is “why isn’t this content already included in the game?” That’s the part the pisses gamers off the most. I think if Warner Bros. would have announced the Season Pass DLC maybe a month or two after Arkham Knight’s release, it would have been much better received because gamers would be salivating over new content. It just goes to show you that timing is everything, especially with the video games industry. Batman: Arkham Knight will be released for Xbox One, PS4 and PC on June 23. Stay tuned to Nerd Much for our Arkham Knight review. Pre-order ‘Batman: Arkham Knight’ here.